1981 was Metallica formed in Los Angeles, California. Founded when drummer Lars Ulrich posted an advertisement in a Los Angeles newspaper, Metallica's original line-up consisted of Ulrich, rhythm guitarist and vocalist James Hetfield, lead guitarist Dave Mustaine, and bassist Ron McGovney. Mustaine and McGovney were later replaced by Kirk Hammett and Cliff Burton respectively. In September 1986, Metallica's tour bus skidded out of control and flipped, which resulted in Burton being crushed under the bus and killed. Jason Newsted replaced him less than two months later. Newsted left the band in 2001 and was replaced by Robert Trujillo in 2003. Metallica's early releases included fast tempos, instrumentals, and aggressive musicianship that placed them as one of the "Big Four" of the thrash metal subgenre alongside Slayer, Megadeth and Anthrax. The band earned a growing fan base in the underground music community and critical acclaim, with the 1986 release Master of Puppets described as one of the most influential and "heavy" thrash metal albums. The band achieved substantial commercial success with its self-titled 1991 album, which debuted at number one on the Billboard 200. With this release the band expanded its musical direction resulting in an album that appealed to a more mainstream audience. Dark and gloomy - but still melodic. One of the songs of Metallica's most criticized albums that make the strongest impressions. This brilliant thrash classic is like a Speedy Gonzales on holiday in dessert - dry, naive and very wonderful popish. A thrash-steroid, which not even the worst death metal-Puritan can resist. Even the title is, of course, magnificent in its almost embarrassing Hemingway-worshipping. "For whom the bell tolls" is unbeatable hard rock epos with its legendary base intro and badass attitude. In addition, it is awfully hard to be an 80-is composition. The text is not exactly the heaviest into music, but the song itself is a rare skilled carpentry. From meta and high octane riff to heartbreaking ballads melodies and pure as snow - and back to heaviest again. Brilliant, absolutely brilliant. One of the absolutely most good looking hard rock ballades in modern times. Straight, simple, stylish. The transition to speed rate hard and it feels completely natural and as a perfect anticlimax. A wild and bloody song - in a contained way. Around that Stephen G. suddenly gives you a whack at the face - and you are surprised fly five feet up in the air. Compact and heavy as a rock. The war ballade "One" in all its glory - but the clearest illuminating the star of "... and justice for all" is without a doubt this thrash injection. Drug Monday in which Metallica-sweater and came out in the schoolyard with freestyle at the highest wreck, it was this song played Monday if it wanted to appear cool. I am still a little cool when I play it in my iPod - and the kick it provides has not decreased over the years. Selects Monday to ignore the non-existent bass frequencies (a widely known throughout the whole problem on the plate), this is one of the former Metallica songs that has been aged with the greatest dignity. Try to see past the facade of-calling "Load" has been and you will soon discover a couple of musical favorites. "Until it sleeps" is one of them - but the song that lifts the entire disc from the abyss is "Bleeding me." It is a chock feeling like nothing else. So clean, so tone down, so aptly. Even the hardest parts preserve the atmosphere of vulnerability and internal pain. "Bleeding me" is "Loads" bleeding wounds that gives the plate the dose of humanity, really need. You cannot leave out "Nothing else matters" of such a list. How damned consumed as it is. "Welcome home" is one of the largest hard rock ballads in modern times - "Nothing else matters" is the largest hard rock ballad ever. "Nothing else matters" gives the worn phrase "less is more" a face. 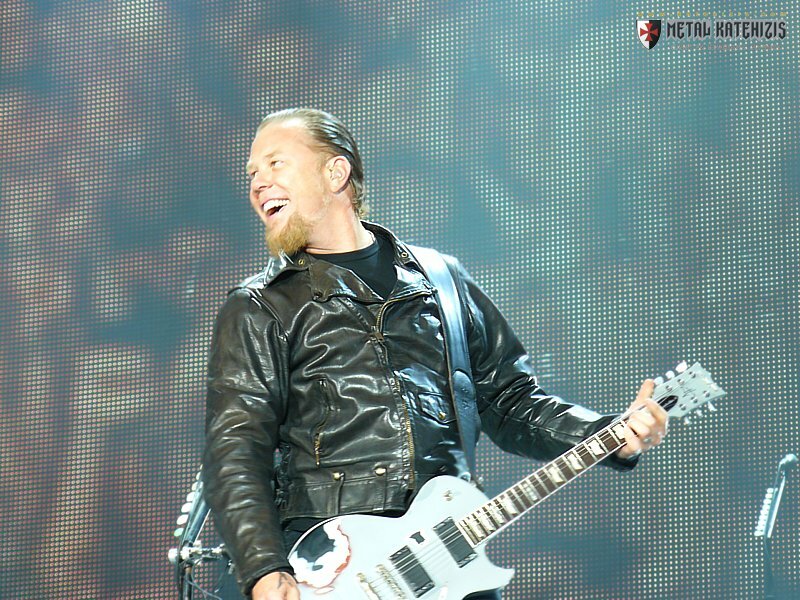 It is so brilliant that all the musicians throughout the world wished that it was they and not Metallica as written it. "Can a instrumental song really be Metallica’s best song ever? ", You might think. Without doubt, I say. With this song the quartet succeed to capture the eerie atmosphere at H.P. Lovecraft masterpiece and convey a story that neither needs words or song, but also demonstrate its brilliance as songwriters. To keep the interest up in almost nine minutes with all simple means it can’t be seen as anything else than brilliant, brilliant and once again brilliant.